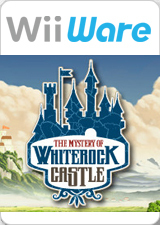 Experience a thrilling adventure in The Mystery of Whiterock Castle as you search for a missing princess. Find all the hidden objects in 10 meticulously detailed settings as you get to know the various inhabitants and rooms of the castle. You can journey through a medieval fantasy world in a single-player game, compete against other players or help each other out in co-operative game play. Make haste and explore the King's vast castle with its gloomy dungeons and secret nooks and crannies. Every adventure will be unlike any other because the hidden objects will always be concealed in different places. The hunt for the highest score has begun. The graph below charts the compatibility with The Mystery of Whiterock Castle since Dolphin's 2.0 release, listing revisions only where a compatibility change occurred. This page was last edited on 26 February 2018, at 09:47.